Apple released a whole flurry of emojis in the latest iOS 12.1, and while some designs were questionable, one icon in particular baffled internet users. Has the time come? Could the world have finally been fed with too many emojis? The facial expression in question is the new ‘Woozy Face’ emoticon, which is a blush, wink, and awkward grimace rolled in one. 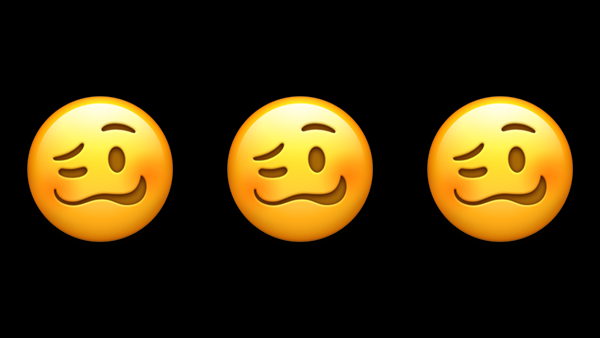 The emoji’s official definition on Emojipedia is, “A face which may be showing signs of being tired and emotional, i.e. drunk,” but have you honestly ever seen a drunk person pull that face? “This [is] how everyone be when they get their picture taken at the DMV,” guessed Twitter user ‘breezeSZN’. “Excuse me, but I have gas,” joked Dwayne “The Rock” Johnson. Check out some amusing reactions below. Surprisingly, this wasn’t the first emoji-related drama that happened this week. Airports are pleading with emoticon creators to revamp an airplane emoji that has been around since 2014.